Dr. Sean Castellucci earned his medical degree from the Philadelphia College of Osteopathic Medicine in Philadelphia, Pennsylvania. He completed his clinical internship at Mercy Catholic Medical Center in General Surgery followed by a general surgery and urologic surgical residency at Albert Einstein Medical Center, and Hahnemann University Hospital, where he was chief resident. Dr. Castellucci has also completed a clinical externship at Memorial Sloane Kettering Oncology Center during his residency. His most recent position was at the Urology Center of Columbus in Columbus, Georgia where he served as Medical Director. Dr. Castellucci is interested in all aspects of Urology services and research. 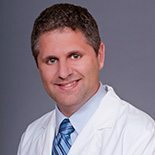 His specialties are in: Erectile Dysfunction, Bladder Cancer, Prostate Cancer, Kidney Stones, Female Pelvic Organ Prolapse Repair, Kidney Cancer, Low Testosterone, Urinary Incontinence, and minimally invasive therapies including laparoscopic surgery and the utilization of DaVinci Robotics. Dr. Castellucci is very involved in research which has earned him both national and international recognition, including many publications in peer reviewed journals. His investigations focused on new innovations in urologic, oncologic surgery including the first single port access laparoscopic adrenalectomy performed; as well as research in other fields of urology including prostate cancer. He has presented at numerous, internationally recognized meetings including the American Urologic Association, the European Association of Urology, and the World Congress of Endourology. His research has also earned him various distinguishing awards including the Robert C. Erwin literary award, as well as the Leonard Finkelstein award in Urology. Dr. Castellucci’s diverse professional interests and responsibilities have enhanced and complimented his role as both husband and father. He is happily married to his wife Dania and has two children Madison and Hailey.